Our bears typically require one long sleeve shirt or one pair of long pants worth of material. We can mix fabrics from several different pieces of clothing. We are only limited by your imagination. When we receive your clothing, one of our fabric artists will contact you to discuss your design requirements and suggest possible layouts of fabric and other features. Typical turn-around time is 3-4 weeks. However, if you require your bear faster, please let us know so we can explain the expediting fee and process. If you have any questions, please do not hesitate to call us at 321-287-0628 or email us at finalembraceonline@gmail.com. 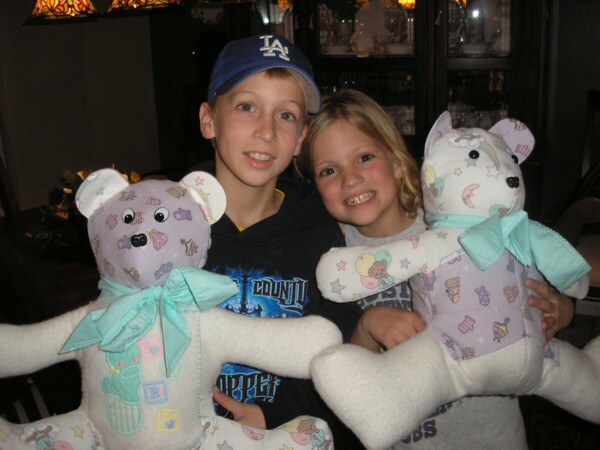 Treasured Memory Bear pricing is based upon quantity ordered on the same date. 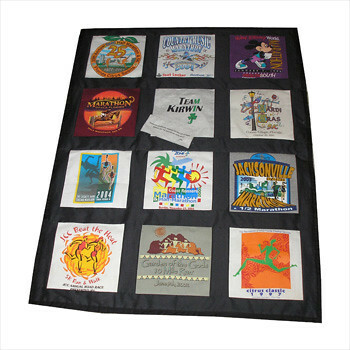 We also make memory quilts out of T-Shirts or other fabrics. If you’d like a different size or color, please call 321-287-0628 for a quote.